Shop our selection of CBD E-Liquid in two strengths and four great flavours! Free UK delivery when you spend over £75! Our CBD E Liquids are designed to work as a filler for any vape pen or vaporizer equipment so you can be assured that they will work with your preferred way of vaping our CBD. The liquids come in two strengths and four different flavours. The 1% strength contain 100mg of CBD and the 3% contains 300mg. The e-liquid is a full spectrum CBD liquid flavoured with naturally extracted flavourings. Vaping is an excellent way to take CBD, it is the fastest known way to get it into your body absorbing it directly into your lungs. 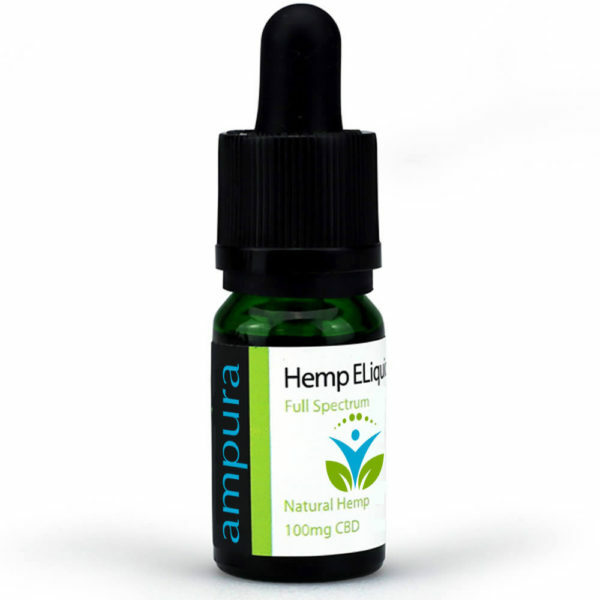 Ampura products can be used through any vaporizer. We suggest using our e-liquids on a low setting starting small and building up your own dose is always a better option.